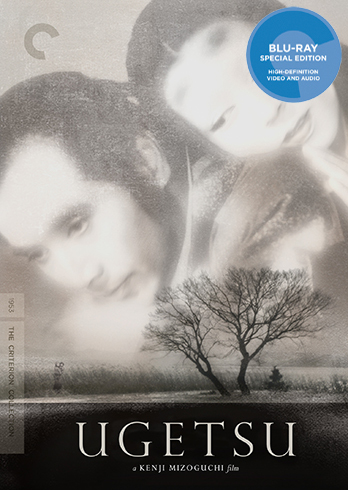 I first encountered Kenji Mizoguchi's Ugetsu when I was a sophomore in college, sometime around 2005. While I had been interested in film for years already, college really helped expand my horizons. I was just beginning to take classes for my film studies minor, and my school library was stocked full of Criterion DVDs. I was in heaven. I was unfamiliar with Mizoguchi at that point in my life. I had no knowledge of his silent films, or early social dramas like Sisters of the Gion and Osaka Elegy (something I have remedied in subsequent years). But Ugetsu was one of those rare films that immediately became one of my all-time favorites. I was in awe of Mizoguchi's craft, and it made me hungry for more. Ugetsu came at the peak of Mizoguchi's career - he won the Golden Lion three years in a row for The Life of Oharu (1952), Ugetsu (1953), and Sansho the Bailiff (1954), a trio of masterpieces that showcase a consummate artist at the height of his powers. For this reviewer, however, Mizoguchi never topped Ugetsu, a haunting, supernatural love story that is as beautiful as it is tragic. The film is a combination of Japanese ghost stories, one about an aspiring samurai who forsakes his family to pursue his dream, leaving his wife to take up prostitution to make ends meet. The other is a potter fleeing war with his family, who is seduced by a mysterious noble woman who turns out to be a ghost. Released eight years after the end of WWII, Ugetsu is as much a cautionary tale as it is a medieval legend. Weary and plagued by war, these peasants give in to lust and greed, seeking a better life but ultimately waylaid by their own desires. Mizoguchi explores their fate through mesmerizing long takes and a quiet, eerie atmosphere, awash in fog and foreboding. Pay close attention to where he places his camera - unblinking, never judging, but always displaying a deep compassion for its characters humanity. The first time I saw Ugetsu, I wept profusely. 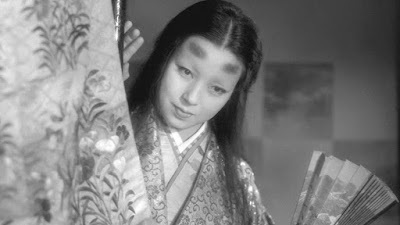 Yet even in its tragedy, Mizoguchi finds a strange and otherworldly beauty. Its use of the supernatural almost feels more metaphorical than literal - representing a man always chasing dreams rather than paying attention to what is right in front of him. Ugetsu is a masterpiece. Not just one of the finest examples of Japanese cinema, but one of the all time classics. Mizoguchi's craftsmanship remains unparalleled, providing a deep and powerful exploration of human folly that achieves an almost mystical status. Like watching an ancient folktale being born right before our eyes, it remains one of cinema's most uniquely beautiful experiences. The long-awaited Criterion Blu-Ray adds no special features to the original 2005 DVD, but the new 4K restoration is absolutely breathtaking, and worth the upgrade for any fan of the film or the filmmaker. 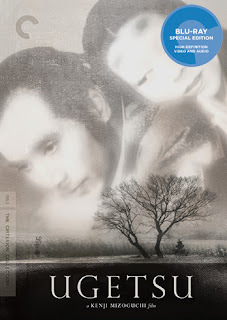 While Criterion has faithfully released Blu-Ray editions of Sansho, Oharu, and The Story of the Last Chrysanthemum, in recent years, the arrival of an HD transfer of his greatest work is cause for celebration.